The Exhaust Gas Recirculation (EGR) system is a part of the vehicle emission control. It directs a portion of exhaust gases back into the engine intake to lower the combustion temperature, read more how the EGR system work. The code P0400 is set when the EGR system flow is less than expected. 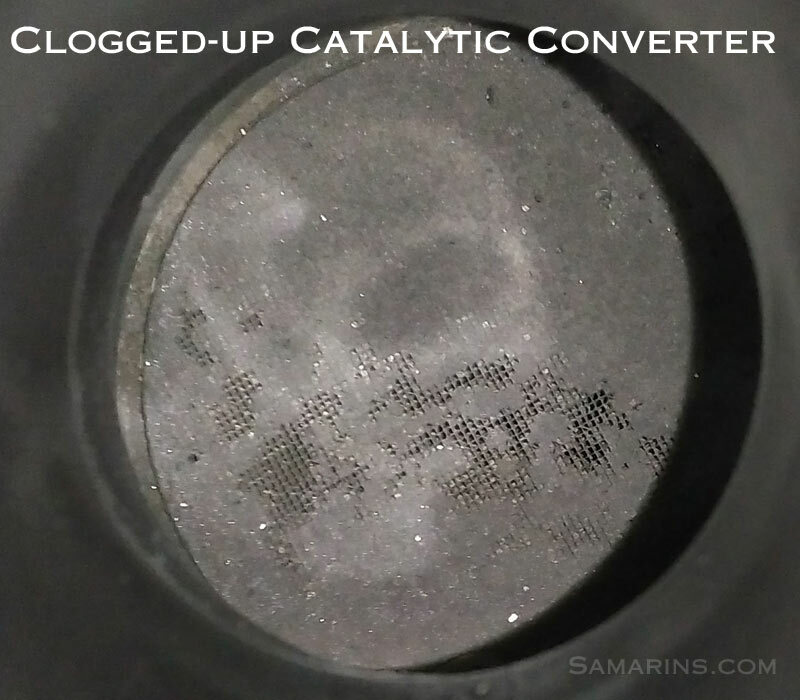 In most cases, this happens when carbon deposits (soot) clog up the EGR system passages and tubes. There might be some driveability concerns, such as, surging, poor fuel economy, rough idle, but in some cases there could no noticeable symptoms at all. If the EGR valve is stuck open, the vehicle will have rough fluctuating idle or stalling. In some vehicles, if the EGR system doesn't work, there might be some engine pinging (detonation) noticeable on acceleration or under load (e.g. when driving uphill). Is it safe to drive with the code P0400? It really depends on the cause. If the code P0400 is caused by some minor issue like a faulty EGR temperature sensor and the EGR system works properly, there should be no problem driving. However, if the EGR system doesn't function properly, the combustion temperature will be higher, which in a long run could cause engine damage. The most often found problem with the EGR system is carbon buildup restricting the EGR flow. Usually, if a carbon buildup is found in one part of the EGR system, the other ports and passages could be clogged too, so the entire EGR system needs to be checked for restrictions and cleaned if needed to fix the problem. Check the vacuum line routing according to the vacuum line diagram. Check the electrical part: the connectors and the wiring to the EGR valves, solenoids and sensors. In some older Mazda vehicles, the EGR boost sensor and its vacuum hose need to be checked as the sensor could fail or the sensor tube could be restricted or cracked. In a Subaru, the BPT valve needs to be checked along with other EGR components. If a clogged catalytic converter is suspected, the exhaust back pressure needs to be checked. In Nissan vehicles the EGR temperature sensor clogs up often; it needs to be inspected first. The EGR valve itself fails often. Many owners reported the problem fixed after cleaning the EGR passages and replacing the EGR valve. 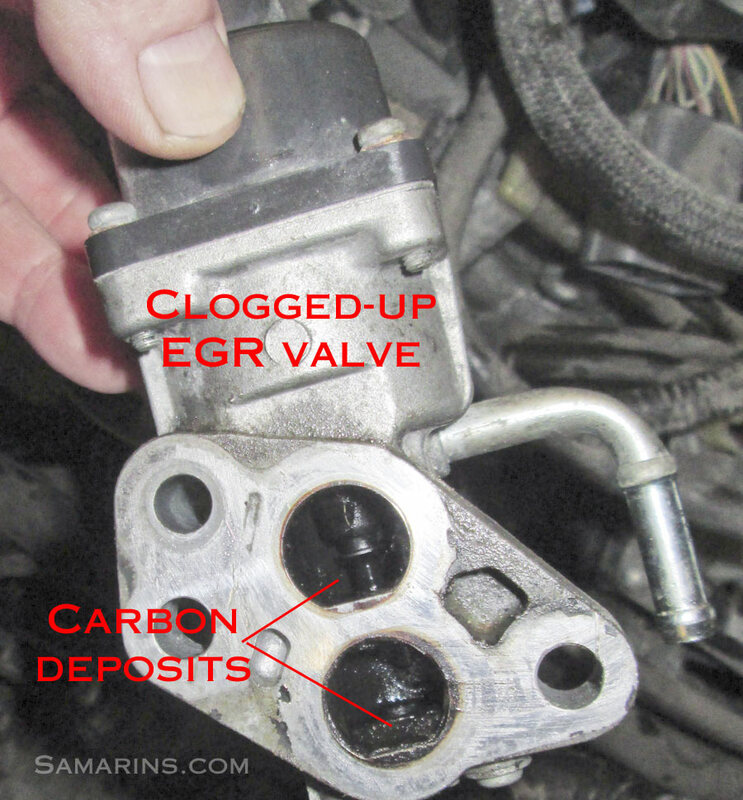 For some models, the EGR valve has been updated. Your local dealer will be able to confirm if the EGR valve part number has been updated. 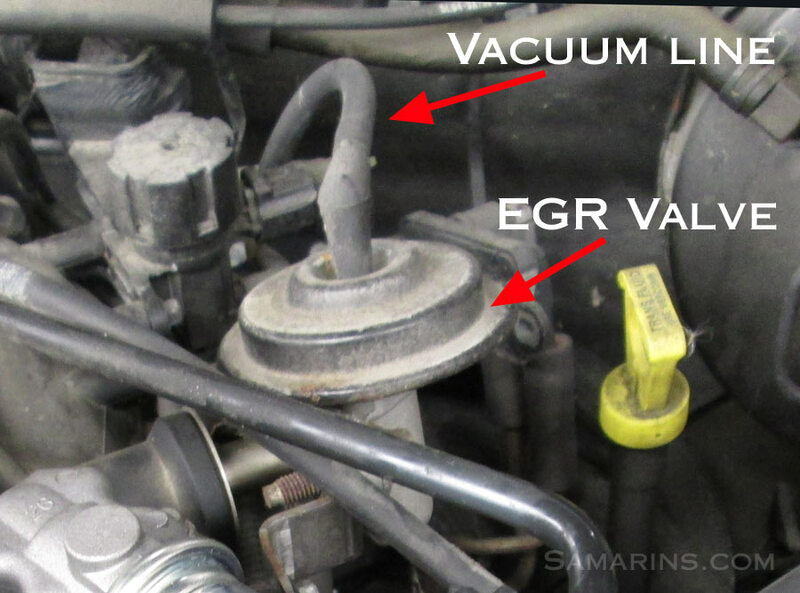 Read more about the EGR valve. In the 90's and early 00's Mazda cars and trucks, the code P0400 could be caused by clogged EGR passages, often in the throttle body. The repair also involves cleaning the EGR passages. Similarly in the 90's Chevrolet Tracker or its twin Suzuki Sidekick/Vitara, the clogged EGR passages in the intake plenum and the back side of the throttle plate can cause the code P0400. The repair involves checking the EGR operation with a scan tool and if the idle doesn't change when the EGR valve is commanded open, checking and if needed cleaning the EGR passages. A clogged EGR tube was a common case for the code P0400 in some late 90's early 00's Mercedes-Benz cars. To clean the EGR tube, the EGR valve needs to be removed. This thread has some very descriptive photos.